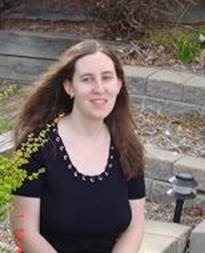 I would like to thank Fiction Addiction book tours for inviting me to participate in the promo tour for Cassie Scot. Be sure to check out the author's character interview and the link to the first 2.5 chapters. Best wishes to the author on her book release. 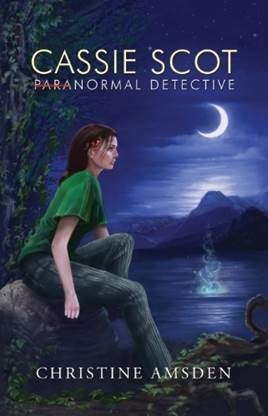 My name is Christine Amsden, author of the new urban fantasy novel Cassie Scot: ParaNormal Detective. This first volume in a (completed) four-part series introduces us to Cassie, the ungifted daughter of powerful sorcerers. Amidst mystery, romance, and family feuds, this "new adult" series shows us that there are many types of strength, and many ways to be a hero. The 21-year-old Evan hails from Eagle Rock, MO, where the existence of magic is accepted, if not exactly understood. Evan, like most sorcerers in the area, is tight-lipped when it comes to what he can do and how powerful he is, but he graciously agreed to talk to me as long as I don't try to pry into his family secrets. Christine: Evan, thank you for being here. I understand you've known our heroine, Cassie, for a long time. How did you two meet? Evan: Cassie and I met in the first grade. I had never been to school or spent much time around other kids, and I made a fool of myself. She helped me out. Took me on as a project, you could say. That's sort of her style. Christine: Did you know at the time that your fathers were enemies? Evan: No. I was six, and I don't think I was that aware of what my father did unless it had something to do with me. He told me later in the year, but by then it was way too late. Christine: So you and Cassie have remained friends this whole time? Evan: Sort of. Things got a little awkward after I accidentally sent Paul Ellerson to the hospital. She never said so, but I think she was a little afraid of me after that. She was hardly alone. She got over it, but between that and some rumors that started flying around about me, we weren't quite as close in high school as we were before. Christine: Are you talking about the rumors that you cast love spells? Evan: (Glares) Yes. Those rumors. Christine: Sorry. Sore spot. I assume they weren't true? Evan: Do you have any other question? Christine: Where have you been for the past three years? After high school, you kind of fell off the map. Evan: Magical apprenticeship. Henry Wolf took me on. Christine: Henry Wolf? Isn't he a little crazy? Lives in a cabin in the woods with no running water or electricity? Evan: He's brilliant. He just thinks modern gizmos interfere with magic. Evan: The first thing I'm going to do when I finish my apprenticeship is buy a cell phone. Then watch movies, starting with the Star Wars trilogy. The original trilogy, not the prequels. Christine: Why do you like Star Wars so much? Evan: It's a great fantasy. Good on one side. Evil on the other. I wish the real world was so easy to figure out. Christine: Is there anything in particular you're trying to figure out? Evan: Lost of things. But mostly, I worry because of the way my father and Cassie's father hate one another. They both think they're right and the other is wrong. I suppose I should side with my family and I do, but I wish I didn't have to pick a side at all. Christine: Because you're in love with Cassie? Evan: I didn't say that. Christine: No, of course not. So, what are your future plans? After you watch Star Wars, that is? Evan: I want to do some good in the world. I've got a few ideas, but nothing concrete yet. There are a few things I need to work out first. Christine: And those few things are...? Christine: I see. And I will leave you to that privacy, but first I have one last question. Is there any advice you would be willing to give us about how to deal with sorcerers? Christine: What if we can't avoid it? Evan: (Pauses) Ivy. Plant some ivy to protect your home. And don't leave any blood lying around. Christine: Those sound like good tips. Thank you for sharing your secrets. Evan: They aren't secrets. You can learn some basic magical self-protection on the Internet. Although there's a lot of crazy stuff, too. Christine: Any way to know the difference? Evan: For the average person? Not really. But the average person probably isn't going to be in danger. It's far worse if you have a tiny bit of talent you don't know what to do with. Christine: That sounds like something we should talk about when the next book comes out. I hope we'll see you back then. Evan: Wait. What happens in the next book? Christine: Don't worry about it. You've got to survive the first book first. Evan: My grandmother is a seer, you know. Christine: I know. I created her, too. But there are so many possible futures, I don't know how much she'll be able to help you. I did rewrite the series several times, after all. Evan: (Glares again) I got to go. Master Wolf is calling me. Christine: Well then, you'd better go. Thank you so much for being here with me today. Evan: You aren't going to hurt Cassie, are you? Christine: Henry Wolf is calling you. Evan: All right, but for the record, we're not done. Thank you for hosting Christina on the blitz today.